Just in time for Bills season we find The Press Box. No, not the one at the top of the stadium with the irritating guys who point out, or sometimes miss, the obvious. This Press Box is just a few miles down the road from the Ralph on Abbott, and it is anything but obvious. 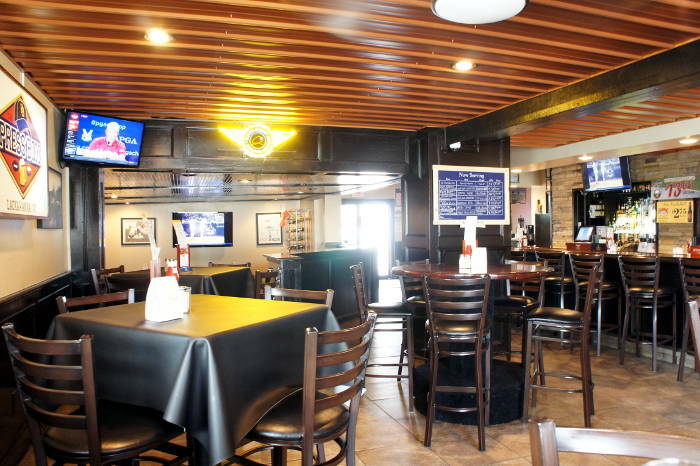 Bring your football fever and your big-boy appetite to this place – the food is full flavor and there is plenty of it. The Press Box was formerly Woody’s Pub. I don’t know what it looked like before but it looks great now. 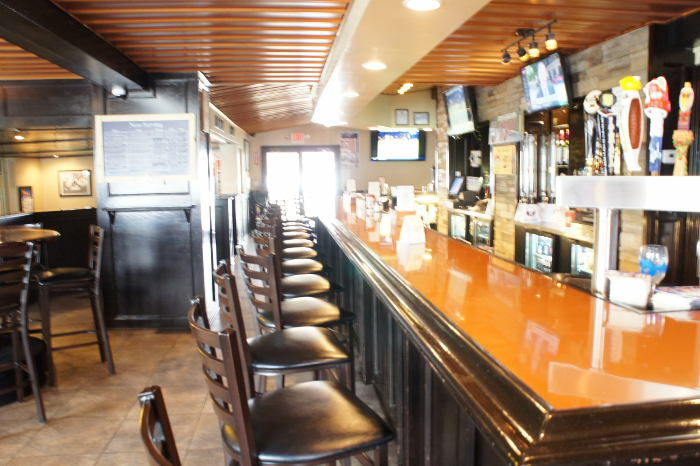 A handsome wood bar, tile floors, tin ceiling, cozy seating, nice bar decor, a bunch of flat screens and artisan beers on tap would usually be enough for me. 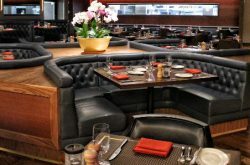 Add in some good service and creative grub and you have a winner. 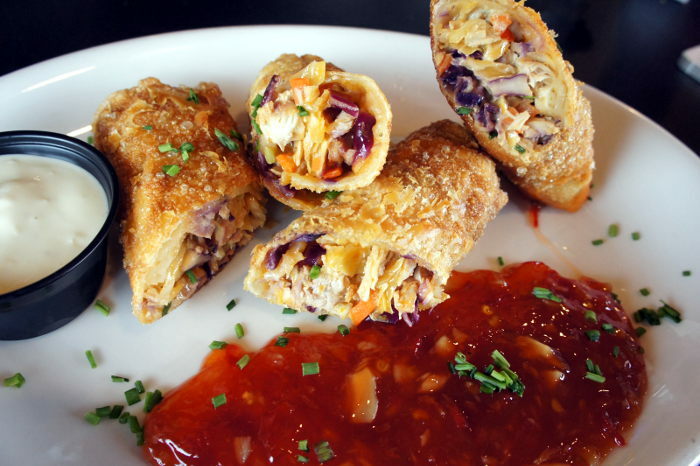 Buffalo Eggrolls – chicken, cabbage, carrots, celery, blue cheese and hot sauce served with with hot pepper jelly and blue cheese dip $7. 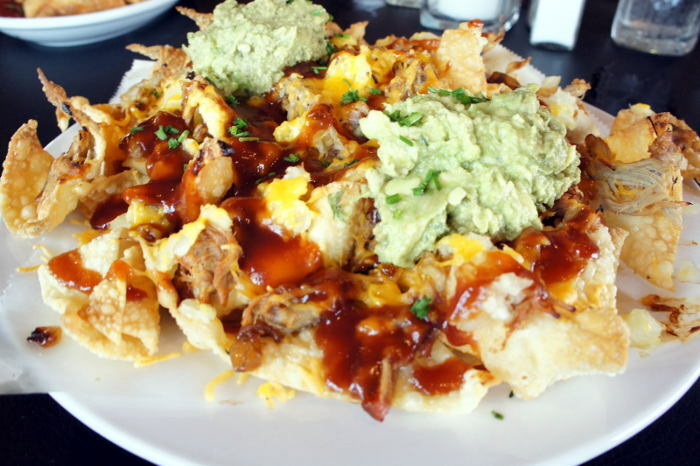 Hawaiian Pulled Pork Nachos– wonton chips with barbecue pork, kidney beans, pineapple, corn and guacamole $11. 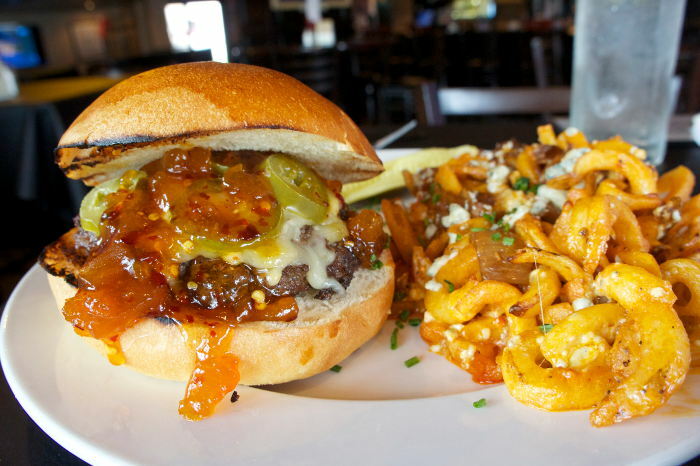 The Heater Burger– jalapeno, pepper jack cheese and sweet and habanero jelly $9. 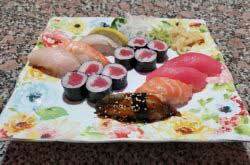 Everything was great – truly better than I would have imagined. The Buffalo Eggrolls are genius, far superior to their Asian cousins. With a little blue cheese dip, I could eat these all day. I wasn’t sure what to expect from the Hawaiian Pulled Pork. What we got was sort of a nacho presentation with light, crispy fried wantons- covered with some pork, pineapple etc. 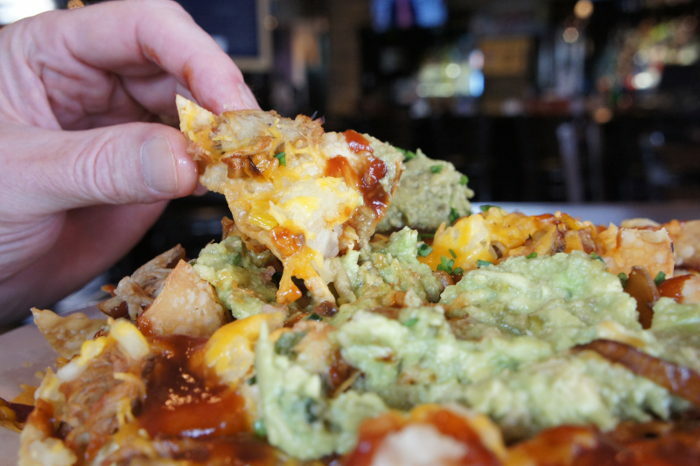 with a couple dollups of Guac. – really good and oddly light. This is big enough to share as a snack or appetizer with four people, but I’ll warn you, you’ll be sad when it’s all gone. Our belts were already tight but in the interest food exploration we carried on. 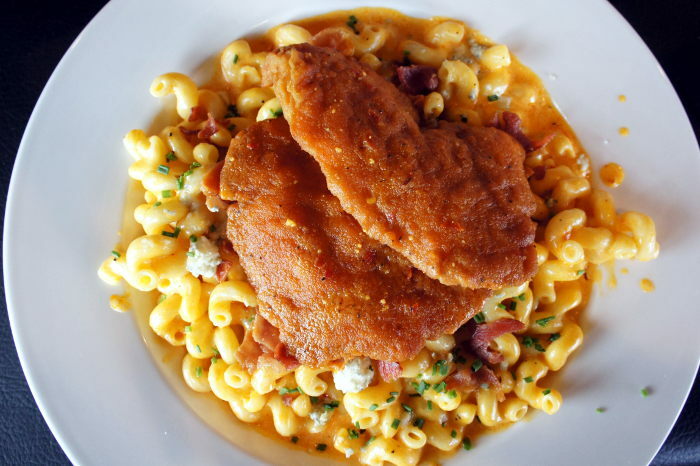 The Buffalo Mac & Cheese is also a new one on me. Two large Chicken Fingers on top of a big bowl of Mac with Buffalo sauce and bacon. Maybe not for the faint of heart, but if you like Buffalo sauce and bacon (insert deadpan look a la Jim on The Office) you’ll like this. The Heater Burger was good and hot. I’ll admit I took some of the jalapenos off half way through. 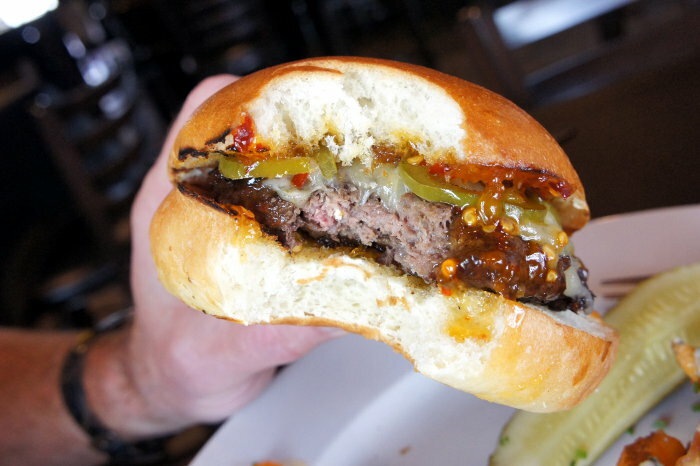 The burger was juicy, loved the habanero jelly and the bun was toasted – nice touch. 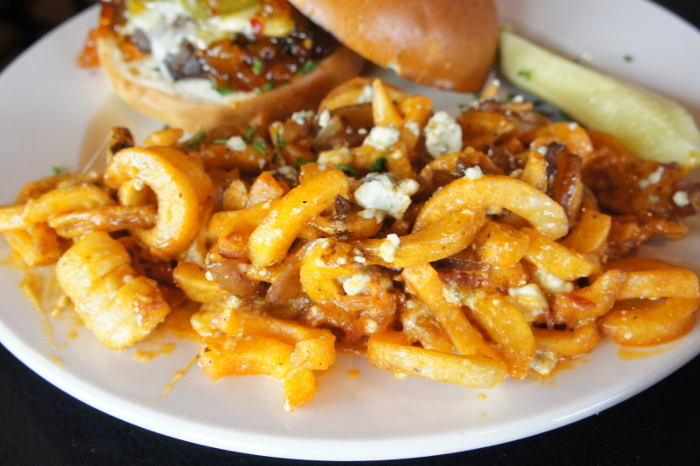 We upgraded the standard fries for a side of loaded fries (The Blues) for $2.50. At first glance I was a bit skeptical. One bite sent me straight to potato heaven. This eats more like a french fry casserole than a plate of fries and it was so good I’d go back just for these. The combination of bacon, blue cheese, onions and potatoes – WOW! Seriously, you have to try these. The Sal – steak fries with garlic, Parmesan and chives $9. Swammi’s Spicy Fries – cheddar, pepper jack, habaneros, jalapenos, green onions, black beans, sour cream and habanero jelly $9. Salads- Chipotle Chicken, Mile High Cesar, The dugout $8-$11. Four different burgers from $8-$11. 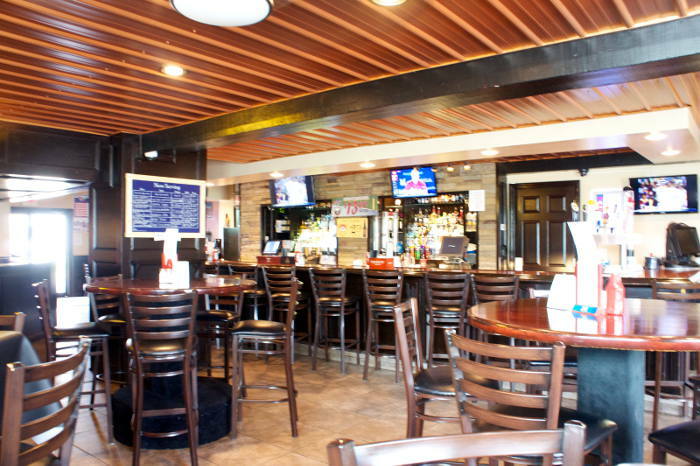 Friday Fish Fry (in true Buffalo fashion) – $11. Another diamond in the rough. Seems to me the creative juices are flowing in the steel belt. Lackawanna the next West Village? (LOL) Let’s hope not, but the food innovation is becoming palatable. If you like Buffalo sauce, football and beer you’re gonna like the Press Box. 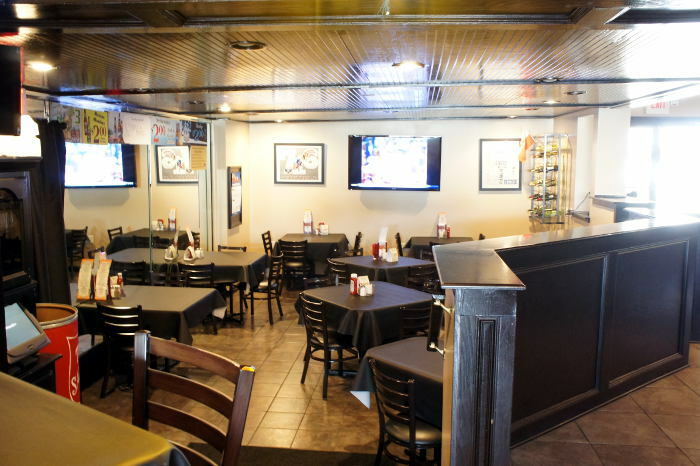 A no-brainer before or after a Bills game, but an equally good spot for lunch or dinner anytime.